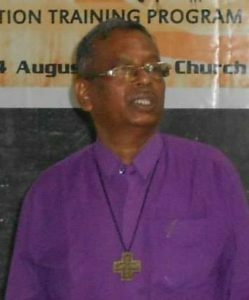 The National Council of Churches in India is deeply saddened by the demise of Rev Dr Gnana Robinson, an eminent ecumenical leader in India. He was a visionary and an able leader who led many Christian institutions including the Untied Theological College, Bangalore and Tamil Nadu Theological Seminary, Madurai. He was also the founder president of the Peace Trust, Kanyakumari. His ecumenical contributions are exemplary. Being an Old Testament professor, he proved his scholarly skills and inspired many students who became leaders of the Church now. He was keen on developing a second layer leadership in Indian Church. His passion for the liberation of the common masses in the southern hemisphere of the world had been expressed through his writings. He left behind his wife Rev Florence Robinson and children Jeevan Robinson and Ratna Robinson. On behalf of the constituent bodies of NCCI, we convey our deep condolences to the bereaved family and pray that may God grant eternal peace to them. Former Moderator of Northern Evangelical Lutheran Church (NELC), Most. Rev. Shiblal Soren passed away on August 12, 2018. He had been unwell for some time. Please remember the bereaved family, his wife and son, in your prayers for God’s comfort and peace. He represented NELC on NCCI’s Executive Committee and General Body during the quadrennial 2008 – 2012. We remember with gratitude and thanks to God, his leadership and faithful ministry. Prof. Dr. Z. C. Devadanam passes away. Prof. Dr. Z. C. Devadanam who served as Treasurer of National Council of Churches in India (NCCI) from 2004 to 2008, passed away on May 10, 2018. 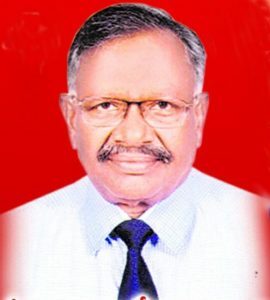 He belonged to Samavesam of Telugu Baptist Churches, and served as Chairperson of the General Body of the Stanton Memorial Telugu Baptist Church. Dr. Devadanam was professor of Economics. He was passionate about Church work, and participated in many programs especially for the upliftment of the underprivileged. He was prominently present in efforts that sought justice for Dalits and Tribals. The funeral is scheduled for May 12, 2018 at 2:00 pm in Kurnool. He is survived by his son, two daughters and five grand-children. We thank God for Dr. Devadanam’s life and many contributions, and we pray for God’s peace to be with the family. 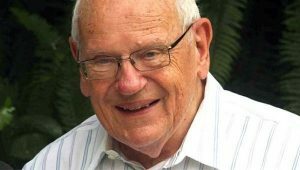 May his life continue to be an inspiration for faithful Christian witness and service. https://ncci1914.com/wp-content/uploads/2018/05/drdevadanampic.jpg 557 502 Caesar David http://ncci1914.com/wp-content/uploads/2018/05/NCCILOGO105-300x72.png Caesar David2018-05-12 09:52:382018-05-12 09:55:43Prof. Dr. Z. C. Devadanam passes away. Rt. Rev. Geevarghese Mar Athanasius Suffragan Metropolitan passes away. The Mar Thoma Church deeply mourns the unexpected passing away of Suffragan Metropolitan Rt. Rev. Geevarghese Mar Athanasius Suffragan Metropolitan Thirumeni at P.V.S. Memorial Hospital, Ernakulam at 4:40 AM on 18-4-2018.. Thirumeni is fondly remembered for His soul stirring oration marked with Christian maturity and vast knowledge in human relations. Thirumeni who is keen in keeping relationships systematically was instrumental in materializing many humanitarian projects for the upliftment of the poor and needy. As Thirumeni completes His earthly sojourn, Church praises Her Lord for the outstanding life and witness of Thirumeni. Born on 26th April 1944 as the son of Late Sri. C.I. Idicula and Late Smt. Achiyamma of Nedumpram Christos Mar Thoma Parish Chirayilkandathil C.I. George completed High School education from TMT High School Neerattupuram. After obtaining BSc Degree from Mar Thoma College, Thiruvalla he was called upon to serve the Church as a priest and got BD Degree from Leonard Theological College, Jabalpur in 1969. He was ordained Semmas on 3rd May 1969 and Kassesa on 14th June 1969. He served thereafter Palakkad, Olavakkod, Karimba, Nelliyambathy, Attappadi, Kozhinjampara, Kuzhalmannam, Mumbai, Dadar, Toronto, Venmoney Sehion, Kottayam Jerusalem, Madras Chetpet, Edayaranmula, Laka Senthom, Kurichimuttom and various other Parishes illustriously. While in Canada he did higher studies in Wycliffe College, Toronto (1975-76). 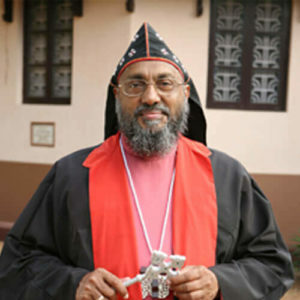 He was selected as Bishop while serving in Edayaranmula parish. He was consecrated as Ramban on 4th November 1989 at the Kottarakkara Mar Thoma Convention ground along with Rev. 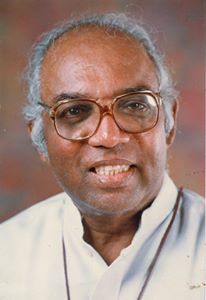 Dr. George Jacob (Geevarghese Mar Theodosius Episcopa and Rev. Euyakim I. Cheeran (Euyakim Mar Coorilos Episcopa) and as Episcopa with the name Geevarghese Mar Athanasius on 9th December 1989 at Thiruvalla SCS ground. He was assigned to be the head of Mumbai – Delhi Diocese. He served as head of Kottayam-Kochi Diocese from 1993 November to September 2001 and from 2001 October continues to head Ranni – Nilackal Diocese. In 2015 October 2nd, Tirumeni was installed as the Suffragan Metropolitan of the Church. The National Council of Churches in India (NCCI) joins the Mar Thoma Syrian Church in mourning the great loss of this great leader, visionary, ecumenist, scholar and shepherd. Thirumeni served faithfully and selflessly for the benefit of the Church and society at large, both in India and abroad. His dedicated and mature leadership will be missed. We thank God for his life and ministry, and hope that the excellence of his work will continue to inspire coming generations of leaders to serve with undying passion and commitment. https://ncci1914.com/wp-content/uploads/2018/04/Mar-Athanasius6pic.jpg 500 500 Caesar David http://ncci1914.com/wp-content/uploads/2018/05/NCCILOGO105-300x72.png Caesar David2018-04-18 15:06:162018-04-18 15:21:07Rt. Rev. Geevarghese Mar Athanasius Suffragan Metropolitan passes away. Rt. Rev. Dr. B. P. Sugandhar, the former Moderator of the Church of South India, passed away on 05 December 2017. He was residing at Hyderabad after his retirement as the sixth Bishop of the Medak Diocese of the CSI. He served as the Vice-President of the Andhra Pradesh Auxiliary of the Bible Society of India. He was also on the governing board of the United Theological College, Bangalore, and the Andhra Christian Theological College, Hyderabad. He started his student life at Wesley Boys’ School in Secunderabad. He had done his Bachelor of Divinity at United Theological College in Bangalore and later earned a Doctorate in Theology. Bishop Sugandhar is survived by his wife Mrs. Nalini Sugandhar, Sons Mr. John Priya Babu and Dr. Vimal Sukumar (Treasurer of the Medaka Diocese of the CSI), Daughter Ms. Glory and five grandchildren. His demise was on the evening today (05.12.2017). Most Rev. 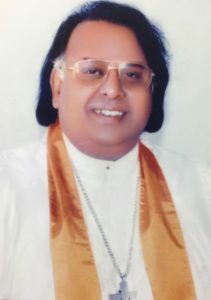 Thomas K. Oommen, the Moderator of the Church of South India, Rt. Rev. 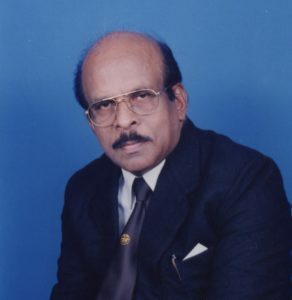 Dr. Vadapalli Prasada Rao, the Deputy Moderator, Rev. Dr. Daniel Rathnakara Sadananda, the General Secretary, and Adv. Robert Bruce, the Hon. Treasurer expressed their deep condolences to the bereaved family of late Bishop Sugandhar. NCCI mourns for the loss of a good leader. Rev. Sunil Raj Philip, CSI Communications. Bishop Dr. Yap Kim Hao, former general secretary of the Christian Conference of Asia (CCA) passed away in Singapore on 16 November. 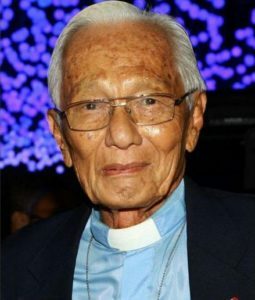 Bishop Dr. Yap Kim Hao (1929 – 2017) served as a Methodist pastor in Malaysia and Singapore before being consecrated the first Asian Bishop of the Methodist Church in Malaysia and Singapore from 1968 to 1973. He was elected as the General Secretary of the Christian Conference of Asia between 1973 and 1985 and was directly involved in social justice issues, ministering to the marginalised and oppressed in the region. In 1988, he accepted an invitation to be Visiting Professor of World Christianity, Perkins School of Theology, Southern Methodist University, Dallas, Texas, USA. He also taught in summer school at the Vancouver School of Theology, Canada in 1990. Rev. Yap was on the Council of the Inter-Religious Organisation in Singapore and was committed to the promotion of inter-faith dialogue and understanding. 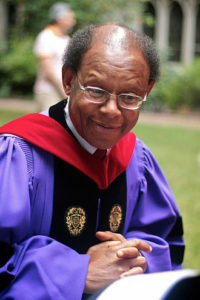 He served as the Pastoral Advisor of the Free Community Church, which counts many LGBT Christians in its congregation. The National Council of Churches in India (NCCI) mourns the loss of this great leader whose pioneering work in many areas will always be remembered for the practical expressions of ecumenism and Christ’s love. He associated with those on the margins, the oppressed, the minorities and those whom the society largely considered as different. It is his exemplary work that will continue to inspire generations to come, to walk with faith and grace for an effective and holistic ministry. 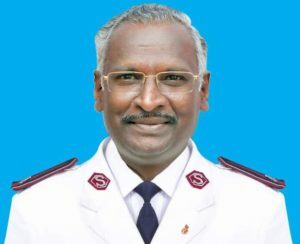 Colonel Chelliah Mony, Territorial Commander of India Central Territory of The Salvation Army, passes away. Colonel Chelliah Mony, Territorial Commander India Central Territory of The Salvation Army, was promoted to Glory on 25 September, 2017. Chelliah Mony entered training from Osaravilai Corps in the India South Eastern Territory as a cadet of the Overcomers Session, and was commissioned on 13 May 1976. Also in May 1976 he married Mallika Mony, who was a cadet in the Disciples of Jesus Session. Lieutenant Chelliah Mony was then serving as Corps Officer of the Kolencoidu Corps. After Cadet Mallika completed her training, they served as Corps Officers in the India South Eastern Territory before they were both appointed to the Training College in July 1981. With this came the promotion to the rank of captain for Chelliah Mony. The Captain also attended the Brengle Institute in this year. In 1983 the Monys were appointed first to Thuckalay Division and then to Vallyoor Division, where Captain Chelliah Mony served as Divisional Youth Officer. In 1987 they were appointed to Cape South Division. Again, Captain Chelliah served as Divisional Youth Officer. Following attendance at the International College for Officers in 1988, Captain Chelliah Mony was appointed to THQ, India South Eastern Territory as Youth Secretary. Further appointments at THQ followed in 1997 when Major Mony was appointed to Human Resources Development Secretary and in the following year, Social Secretary. A return to the Cape South Division as Divisional Commander came in May 2003. In June 2009 Major Chelliah Mony was appointed back to THQ, as Social and Education Secretary and the following year as Secretary for Programme Administration. Transfer to the India South Western Territory in July 2012 saw Lieut-Colonel Chelliah Mony appointed as Chief Secretary of that territory. In June 2014 further international service followed with a transfer to the India Central Territory as Territorial Commander, with a promotion to the rank of colonel. It is from this appointment that Colonel Chelliah Mony was promoted to Glory. We salute the Colonel for his many years of faithful service to God and to The Salvation Army. Our thoughts and prayers remain with his wife, Colonel Mallika Mony and with their children, Yesumarline Mony, Yalin Rancy Mony, Darline Santhini Mony and Alwin Devarasu Mony. The funeral for Colonel Mony was held on 26 September 2017 at Booth Tucker Memorial Church Corps Hall (Nagercoil), conducted by Colonel Edwin Masih. Chennai – 600 034. India. Source: The Salvation Army, India National Secretariat. Colonel Mony attended meetings of the National Council of Churches in India (NCCI) several times. His ecumenical outlook and genuine concern for the people proved to be a blessing for many. He served with exemplary passion for the Glory of God. NCCI joins with The Salvation Army in praying for God to comfort the family. Colonel Mony’s faithful service and strong leadership will always be remembered. His work will continue to light the way for seekers and future leaders. https://ncci1914.com/wp-content/uploads/2017/09/colonel-Monycrp.jpg 582 716 Caesar David http://ncci1914.com/wp-content/uploads/2018/05/NCCILOGO105-300x72.png Caesar David2017-09-28 17:02:322017-09-28 17:58:48Colonel Chelliah Mony, Territorial Commander of India Central Territory of The Salvation Army, passes away. Rt. Rev. Dr. Samuel Amritham, a great ecumenical figure from India, passed away on September 26, 2017 in his hometown Parassala (Kerala, India) at the age of 85. After completing his bachelor’s degree in Divinity, he was appointed as pastor in the London Mission Pastorate Church, Parassala (now named the Abbs Memorial Church after founder and LMS Missionary Rev. John Abbs). He was instrumental in the construction of the new Church building. His efforts behind the installation of the electric bell, the electric cluster lights, and the lightning arrester are appreciable. Dubbed the “Pope of anti-globalization,” Houtart left a mark on discussions of religion and revolutionary social change in developing nations. Belgian liberation theologist and sociologist Francois Houtart died Tuesday at the age of 92, leaving a powerful legacy through his decades of work theorizing globaliztion, alternatives to capitalism and religion from a Marxist perspective. Houtart died in Quito, Ecuador, where he lived and worked at the Pueblo Indio Foundation and with several universities. Houtart was born in Brussels in 1925, became a Catholic priest in 1949 completed a doctorate in sociology at the University of Louvain.